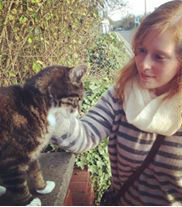 If you have been following The ecoLogical for a while now, then you will definitely be familiar with Kathleen Natural. This natural beauty brand was created in Royal Leamington Spa in 2014, and has been crafting fabulous formulas ever since. The range now contains a selection of cruelty free skincare, bath and body treatments, and beauty tools, and each aims to "transform YOUR SKIN’S FUTURE, enabling you to live healthily and happily in your own perfect rhythm" while also promising 100% natural goodness. 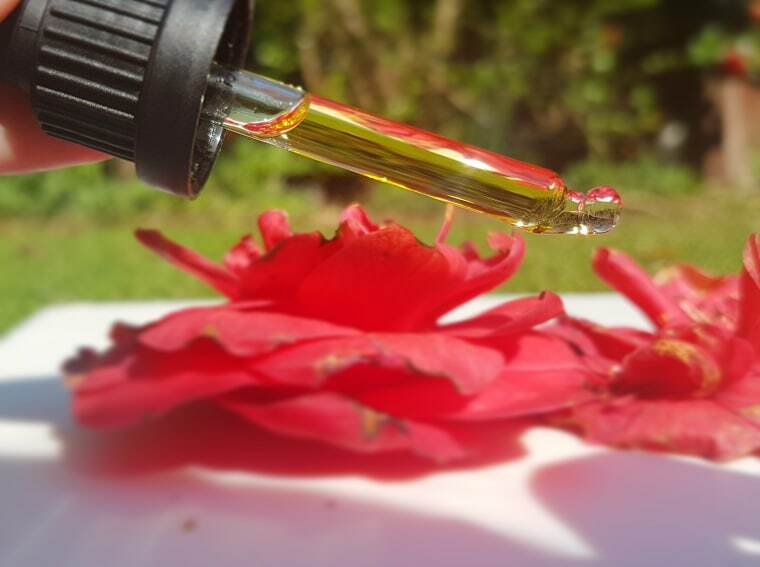 "The entire range is formulated using a blend of precious plants, marine extracts and essential oils, sourced from all corners of the world – from Europe to Africa, America to Asia – without the inclusion of any harmful artificial chemicals"
Over the last year or so I have had the joy of testing out so many of their products, including the body and massage oil, tonifying mist, illuminating serum, and bubble baths. Each has brought their own benefits, but I have to say the bottles of bubble bath have to be a fast favourite of mine -- I mean, they are so good that I ended up picking up one of each scent! 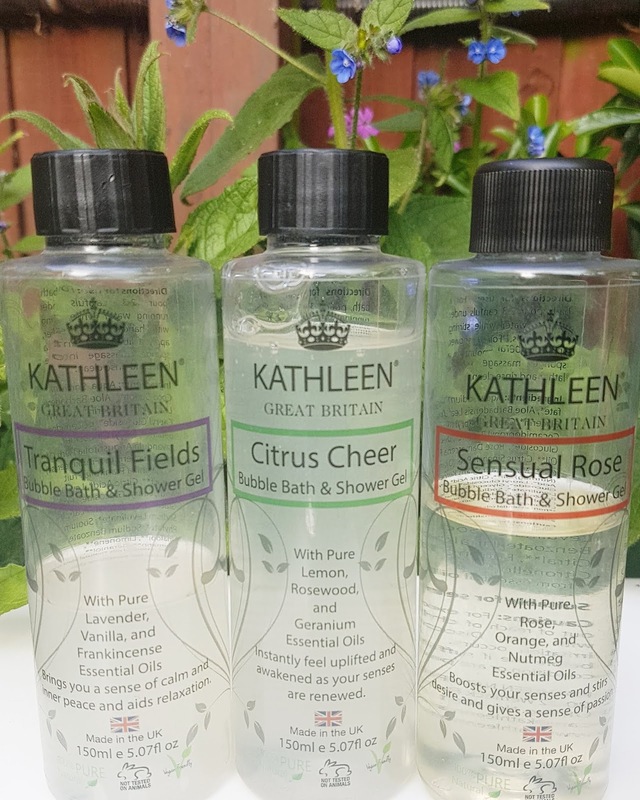 Kathleen Bubble Bath & Shower Gel is one of the best foaming bath products I have tried, as it boasts both clean ingredients as well as some proper bubbles (unlike some others I have tested in the past!). There are three varieties available: Citrus Cheer, Tranquil Fields, and Sensual Rose. Each smells divine and offers aromatherapeutic qualities, plus they are all free from any nasties like SLS. This 100% natural and vegan-friendly bath treat is also surprisingly affordable for something so high in quality. 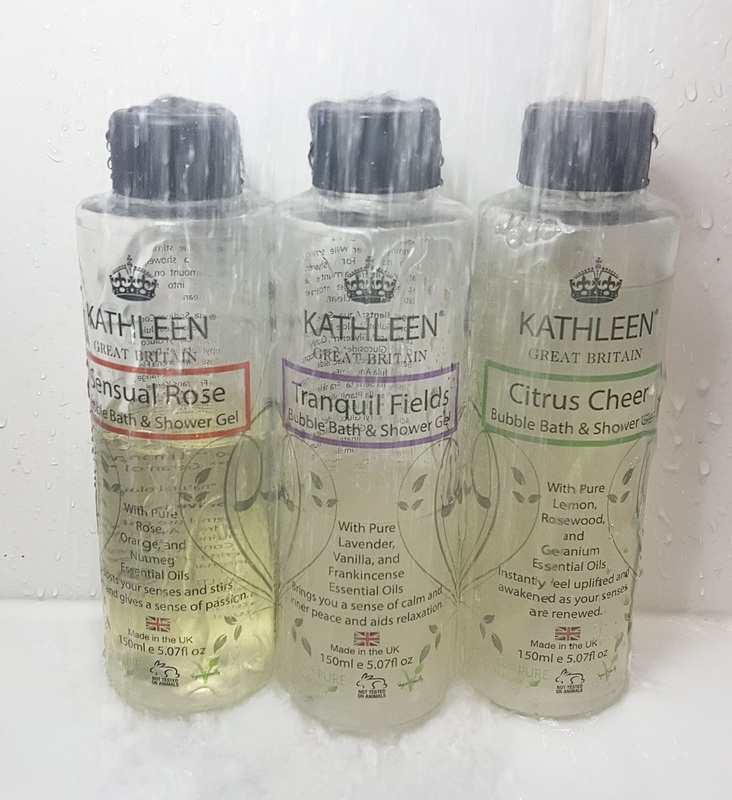 While many of the Kathleen Natural range comes in glass bottles, the Bubble Bath & Shower Gel unfortunately does come in plastic. I'm really crossing my fingers that this changes in the future though, as I love each of the blends so much. I'm trying my best to cut down on plastic packaging, but when it comes to the world of natural bubble bath, it's tricky to find a nontoxic option that is gentle on the skin and the environment. That being said, these bottles do last ages plus they are recyclable. Each of the three scents are dual-purpose, as it functions as both a shower gel and a bubble bath. However you choose to use, your skin will be sure to love the formula as it cleanses, hydrates, and balances all in one go. No dryness, no stripped feeling, just lush aromas and happy skin! I initially bought Kathleen Natural's Tranquil Fields gel back in September, and was really impressed by both the scent and the amount of bubbles this produced. 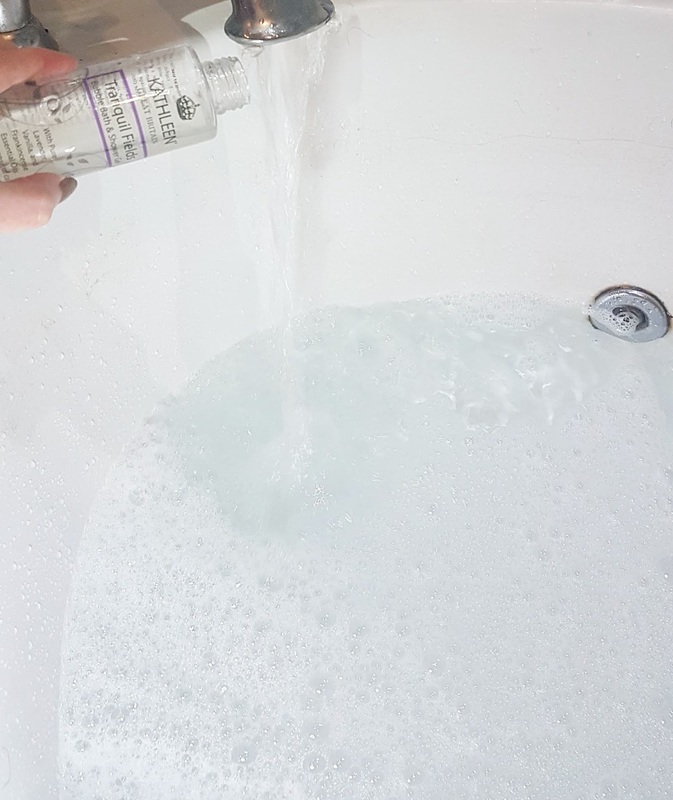 I have found that natural products often struggle to get the bubbles going, and provide a foam bath instead, but like the whole Bubble Bath & Shower Gel range from Kathleen Natural, this does it no problem. "Breathe the fields of purple lavender weaving in strings of soft, spicy vanilla, and peacefully rest under the sweet and woody frankincense fragrance. The aroma brings you a sense of calm and inner peace and aids relaxation." The scent truly is tranquil, with fragrant lavender, rich vanilla, and sweetly earthy frankincense. Oddly enough, it reminds me of a spiced rum and coke on a chilly summer's night -- warming, a hint of sweet spice, and familiar. It is the perfect addition to a bath, but can also be used in the shower to wash off the day. It's ideal for evenings, as the peaceful notes really wash over you and take away all your tension. I'm now on my second bottle, and enjoying every single drop. This stuff is a delight to use, and it has quickly become a favourite of mine. In fact, it's so good it made my Best Ethical Products of 2018 list! And when I saw that Tranquil Fields got an Editors Choice in 2019's Beauty Shortlist Awards, I was so happy for them, as it deserves all the recognition. This blend gets you in the perfect headspace for bed, and it is a brilliant beauty and wellbeing product. Just remember to take a few deep breaths so your mind starts to slow down and prepare for a nice night in. That's all it takes! I was so thrilled when I opened December's Love Lula Beauty Box and saw a bottle of Kathleen Natural's bubble bath inside. Not only was it perfect timing since I was running low on my previous one, but it gave me a chance to test out a brand new scent! Sensual Rose is such an interesting fragrance, as it defies expectations and is so multi-layered. It's actually difficult to describe, and that's coming from me! It's not quite a field of roses, nor a citrus blast. So what is it? Spicy yet sweet, and with an incredibly warming aroma that is so perfect for cold evenings or the end of a long day. "Open to the sensuality of daring red roses blended with refreshing vivid orange layered with an unexpected, earthy nutmeg. This sensual and euphoric aroma enhances feelings of joy and positivity. It will stir desire and give a sense of passion." I have found Sensual Rose an amazing blend for a nightime bath, and it really helps even out my emotions and calm my mind. Plus, it works really well with other added salts or oils, so it is great if you are looking for a versatile bubble bath! After trying out both Tranquil Fields and Sensual Rose, I couldn't resist picking up the final fragrance to complete the trio. To be honest, I tend to opt for one of four treatments in a bath: sleepytime, uplifting, calming, or healing. So how shocked was I to realize I didn't have a single zesty bath gel before this! Citrus Cheer was such a welcome addition to my beauty shelf, and not just because it filled a gap in my bathtime lineup. "Inhale clarity with the zest of lemon, spiked with a warm rosewood scent, to bring a vibrant, cheerful quality. The floral geranium enhances the feeling of intense citrus brightness. You will instantly feel uplifted and awakened as your senses are renewed." It's easy to underestimate the power of something simple like scent. When we inhale, our brain and body is effected by what we breathe in. Aromatherapy offers incredible benefits, from respiratory disinfection to helping ones' psychological state of mind. 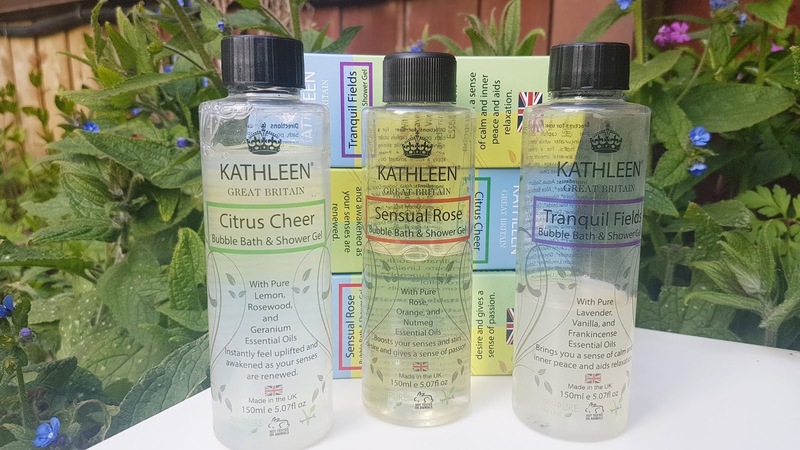 One of the fastest acting family of oils for wellbeing (in my experience) is citrus, so it is no wonder that Kathleen Natural's bubble bath elicits immediate happy vibes. The gel reminds me a bit like a cleaner (in all the best ways I mean -- with that potent zingy lemon scent! ), with a floral undertone to soften up the experience. This is the perfect early morning or afternoon treat, as it helps establish joy and sets the tone for the remainder of the day. Or, if you need a bit of a pick me up in the evening, just pour a bit into running water and get ready to smile! Like I said, each Bubble Bath & Shower Gel from Kathleen Natural lathers well and feels lovely on the skin, so your pick is just a matter of preference. However, if you want to experience the full range of scents, from the utterly relaxing Tranquil Fields to the energizing Citrus Cheer, then it is most definitely worth picking up the whole trio. Have you tried Kathleen Natural's range of green goodies yet?? I would love to hear your thoughts if you have! And if not, which of these three would be at the top of your wishlist? ?